Notable online political blogger, Thinking Pinoy on its Facebook post, speculated about the possibility of sentencing former mutineer, Senator Antonio Trillanes IV to death by musketry or ‘firing squad’ as mode of execution. With the continuing jurisdiction of AFP’s Court Martial over the Senator’s case, astute Thinking Pinoy quoted Commonwealth Act No. 408 known as the ‘Articles of war’ suggesting that Trillanes is in violation of its Article 67. This, in connection to his vital involvement during the Oakwood Mutiny in 2003 and the Manila Peninsula siege in 2007. 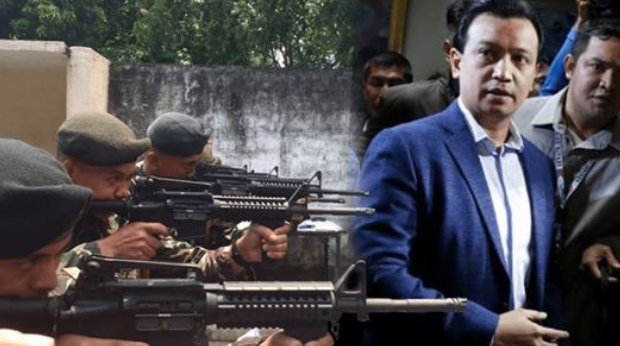 Much to his demise, Trillanes may be sentenced to death by the Court Martial, if found guilty – one thing that the political blogger, among others is quite fond of in the moment. Of course, many ‘thinking’ netizens were quite supportive of the idea which stemmed none other than our very own ‘thinking’ President Rodrigo Duterte. Meanwhile, Anna KM Lappay’s comment seemed to pose as semi – sympathetic to Trillanes but reality bites and things are clearly burdening the Senator’s part with not much of an option. “You can see the fear in Trilly's eyes. He knew it. He will not leave the Senate Hotel just yet. He knew the laws are catching up on him. The yellow cult cannot save him too,” she said in a comment. 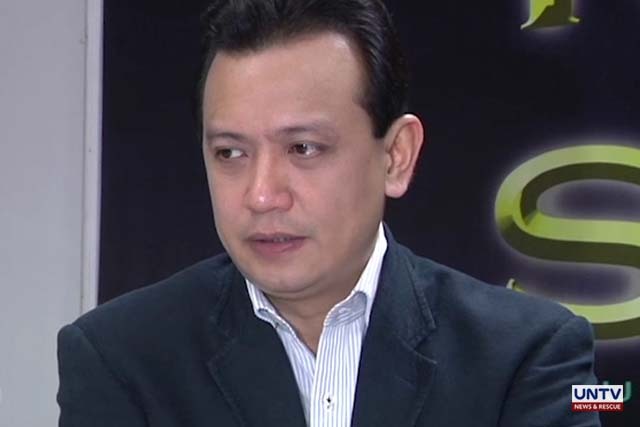 A FIRING SQUAD FOR TRILLANES? While it can be easily recalled that civilian courts (RTCs, CA, SC, etc) have ceased to sentence convicts with the death penalty, it must be noted that Courts-Martial -- the Military Court of the Armed Forces of the Philippines -- may still do so. Courts-Martial are judicial courts for trying members of the armed services accused of offenses against military law. In the case of the Philippines, that would be violations of Commonwealth Act No. 408, otherwise known as the Articles of War. Articles of War are typically stricter than civilian laws. For example, a court martial can sentence to death by firing squad a soldier simply for being overweight [https://bit.ly/2NVHiaM]. 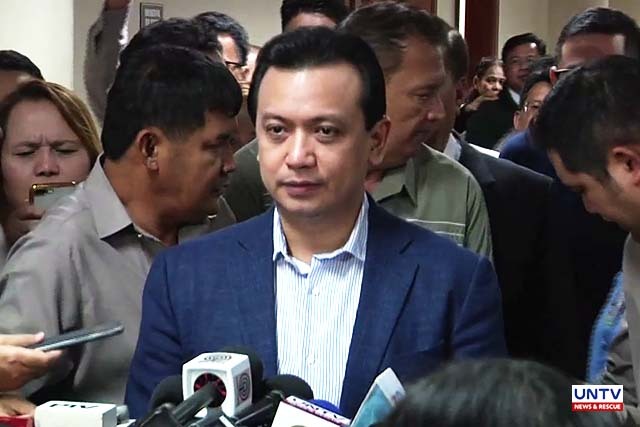 In line with his participation in the Oakwood Mutiny and the Manila Peninsula Siege, Antonio "Sonny" Trillanes IV was charged with violating, among others, Article 67 of the Articles of War. Article 67. Mutiny or Sedition - Any person subject to military law who attempts to create or who begins, excites, causes, or joins in any mutiny or sedition in any company, party, post, camp, detachment, guard, or other command shall suffer death or such other punishment as a court-martial may direct. ... and death by musketry (i.e. death by firing squad) is one of the possible modes of execution. Interesting. Note that the President, however, has the prerogative to reduce the severity of a punishment, and I believe Pres. Rody Duterte will do so if and when Trillanes is sentenced to death. It's still fun to think about, though.